A family isn’t just about the people you spend every day with. If you have family pets, you should always give them just as much attention as everyone else. I am a passionate animal lover myself, and my family is full of animals. In our family, we have 8 dogs and 8 cats! I would love to have more, but I don’t we can handle any more animals at the moment. Now being that we have so many cats, we have litterboxes set up around the house. Cleaning them all can get a bit exhausting after a while. Everyone who owns a cat knows that cleaning the litter box isn’t the most pleasant job to take on. Well, recently I’ve got the opportunity to try out a product that makes the situation a bit simpler. So check out all of the information I have for you below. We all know how important technology has become in this world. Believe it or not, tech has evolved, and it will keep evolving as time goes on. Cat care is indeed important, but we often look for ways to make things easier for us. When it comes to cleaning the litter box, well, you are in for a treat. Recently, I have gotten to test out a product cat lovers will love just as much as the cats. It’s the AutoPets Pet-Tech: The Litter-Robot! 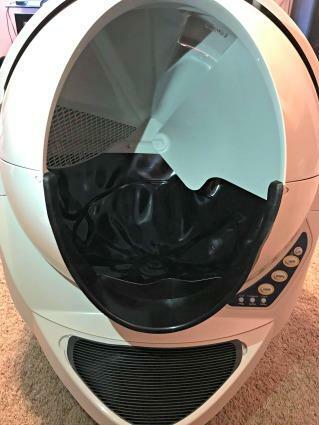 Every since the AutoPets Pet-Tech: The Litter-Robot was brought into my home, the cats have gone crazy! The Litter-Robot is an automatic self-cleaning litter box. That’s right; this is one litter box that you won’t have to worry about scooping out. Its patented sifting system is designed to automatically separates waste from clean litter. Just think about the time you’ll save on cleaning! As for the scent, you may be wondering about if the smell would become a problem. Well, I’m happy to inform you won’t have to worry about a thing. All waste is deposited into a carbon-filtered drawer to reduce litter box odors. Whenever your cat handles their business, all they have to do is exit. A built-in sensor alerts the litter box to start the clean cycle will start automatically. 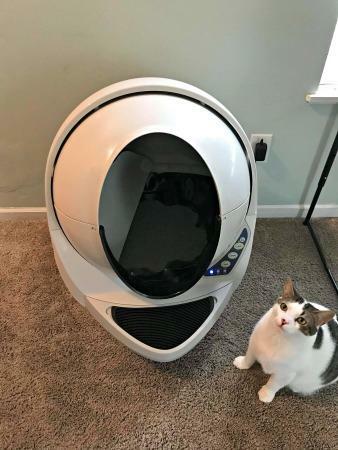 The AutoPets Pet-Tech: The Litter-Robot also has a built-in empty notification! So when it’s time to empty the waste drawer you’ll know. 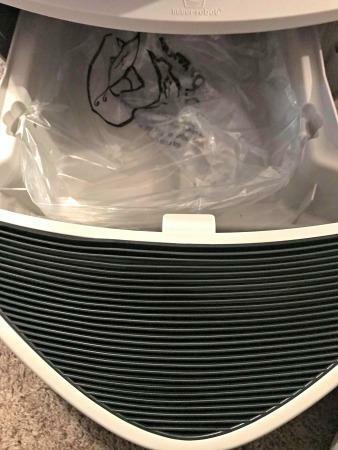 This litter box is perfect if you are housing multiple cats! With me having 8 of my own, I’m glad to have had the opportunity to try this out. Plus, it’s great on helping you save money on cat litter too. Every Litter-Robot is backed by a 90-Day Money-Back Guarantee and 18-Month Warranty as well. Bring this incredible litter box into my home has made thing a bit easier. With a product like this in your home, your cat’s will enjoy a new experience! So go ahead and check out all of the information I have for you below. Litter-Robot III Open Air is the automatic self-cleaning litter box. After the cat exits the litter box, the patented sifting process automatically separates the waste from the clean litter and deposits the clumps into a waste drawer for easy disposal. Click to watch the Getting Started video (or view below) and view the Quick Start Guide. Disclosure: Giveaway begins November 17th, 2017 at 12:00 pm and ends November 27th, 2017 at 11:59 pm EST. Open to US residents age 18 and older. 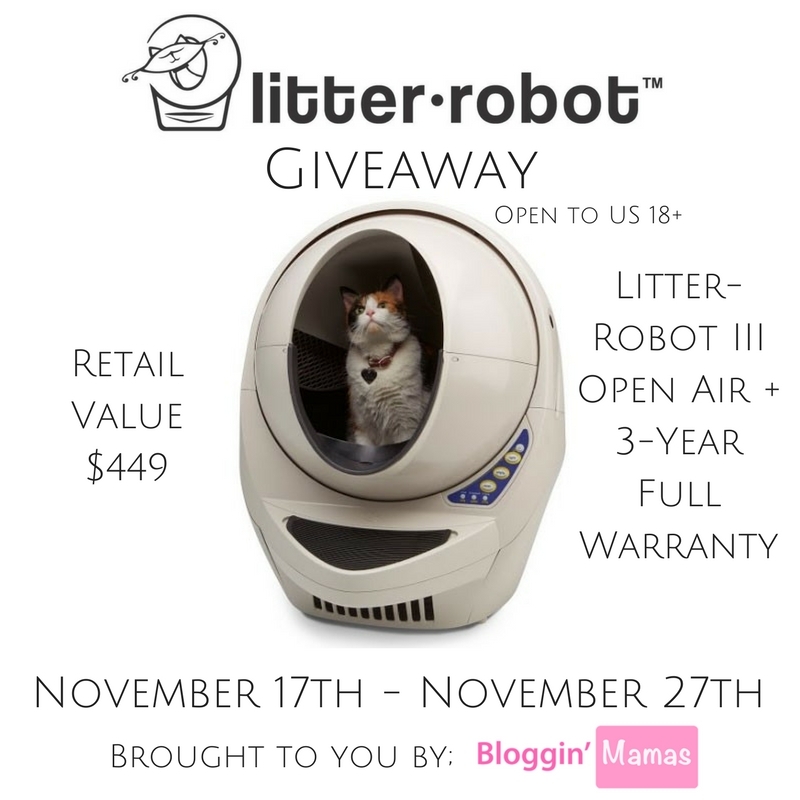 One (1) AutoPets Litter Robot will be awarded to one (1) winner. Total ARV of $449 per prize pack. Winners will be selected by Random.org and be notified by email. Winners have until December 3rd, 2017 at 11:59am EST to respond or forfeit their prize. Facebook, Twitter, Instagram, Pinterest, Youtube, and Google are in no way associated with this giveaway. By providing your information in this form, you are providing your information to Heather Lopez Enterprises LLC. We do not share or sell information and will use any information only for the purpose of contacting the winner. what is NOT to like? Self cleaning and reduces odor? Yes! For sure, one of my least favorite tasks is cleaning out the litter box. I’d love to win one for our household, our new kitten Lila would be very happy! I have a cat who loves to make a mess. I think this would make my life easier. I have 2 indoor cats and am constantly cleaning the box. This would make my life a lot easier! I love this because it’s self cleaning! We all hate to clean the litter box at our house so this would help out a ton! I like that it is self-cleaning. With 5 cats in my home that feature is really appreciated. I love that it Self-cleans after each use. I rescue cats at this time I have 9 rescues. This would be really helpful I am always scooping out boxes. I love that it reduces litter box odor. It would be great for us because it works for multiple cats.